Cloud storage solutions are popping up left and right these days, with new entries into the market challenging the “old guard” on a regular basis. 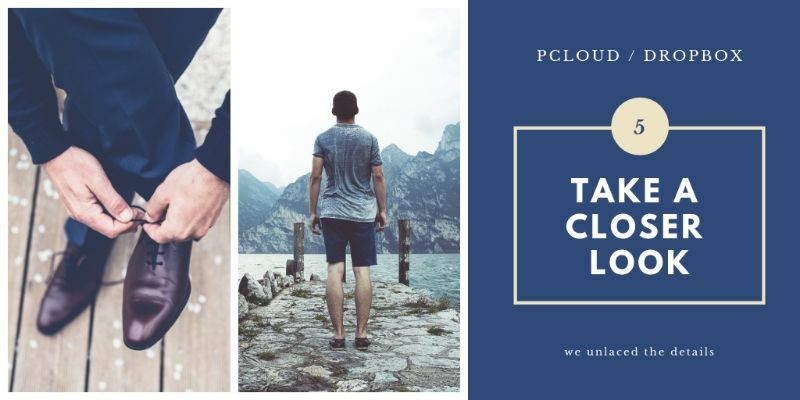 pCloud is one of the newer cloud storage options looking to make a push in this industry but they continue to bump up against comparisons to Dropbox. But why Dropbox vs pCloud? Maybe because Dropbox is the most popular and the most widely used cloud storage solution anywhere on the planet (at least in the consumer world, anyway). But certainly not the most secure cloud storage on earth. While pCloud is the newcomer that are punching its way up and making a name for itself. It’s like David and Goliath and people love it for that. If you’re thinking about moving the bulk of your cloud storage needs over to one of these two contenders, you’ll probably want to know how pCloud versus Dropbox stack up against one another. Strangely enough, pCloud now has the strength needed to backup Dropbox itself! And other storage too, including Google Drive, Instagram and OneDrive while Facebook backup is temporarily unavailable. Let’s dig in and find out now! 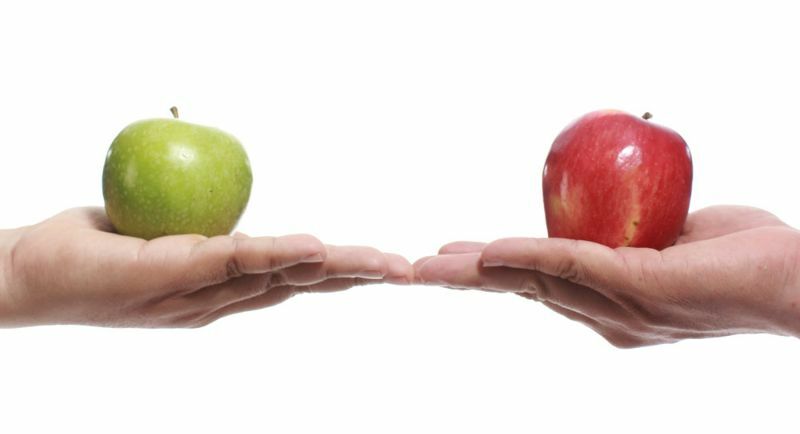 We would like to compare apples to apples and try to create a fair stages for both pCloud and Dropbox. That’s why we pick the 2TB storage plan as the battle ground. Well now, that’s a tough one. Should I opt for Dropbox which already has millions of satisfied users? Which is one of the oldest files hosting service in the cloud industry. Or, should I go for its newer version that is about to become a market leader in the foreseeable future? Spoiler alert: Will there be a win-win situation? From what we’ve seen, it’s very unlikely. Winner takes all. There isn’t a world of difference between pCloud or Dropbox when it comes to synchronization, as both of them take full advantage of block level synchronization tools. This allows the actual service itself to upload information only pertaining to individual altered sections of files in little “blocks” – dramatically reducing the amount of time that you will have to spend syncing data. Both of these services are blazing fast compared to the rest of the industry. In a 1 GB comparison, both pCloud and Dropbox were able to upload all of the changes to that particular file inside of 30 seconds while the next closest service came in at just about four minutes. A standout feature that helps to separate pCloud from the rest of the pack has to be the integrated “Virtual Drive” capabilities that it brings to the table. Essentially turning pCloud into a digital external hard drive that allows for immediate synchronization to the virtual servers behind this cloud storage network. The Virtual Drive will show up in your computer file explorer the same way that a traditional hard drive will – and everything that you save into that folder will immediately get uploaded and synchronized to the cloud and become available across all of your pCloud installations. 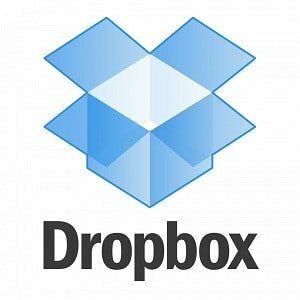 Dropbox offers similar capabilities but it isn’t quite as efficient or quite as effective. On top of that, Dropbox only allows you to add individual folders to the immediate synchronization whereas pCloud allows you to virtually synchronize an entire “drive”. When it comes to collaborating on an individual file you simply aren’t going to find anything on the market today that comes close to offering what Dropbox offers right out of the gate. Not only are you going to be able to individually collaborate through live editing of documents and collaboration on individual files. But it also provides full tool-sets for in-line comments in a whole host of other options that really speed up this collaborative process. Nothing else out there comes quite close to what Dropbox delivers in this department which definitely helps to separate it from the rest of the pack. pCloud has nothing like this in its suite of tools right now. They do not allow you to form teams and groups in the sharing option as well. This feature only becomes available in the business plan. Whenever you’re talking about taking advantage of a cloud storage solution you need to know beyond a shadow of a doubt that you are going to enjoy top tier encryption and extreme security to make sure that your personal and private data stays just that – personal and private. Both pCloud and Dropbox offer robust security solutions and next generation encryption services, including military grade security options with zero knowledge privacy features built right in. With Dropbox you get these features right out of the gate as soon as you sign up but if you want to really secure and locked down your pCloud set up you’ll need to pay a little extra for service called pCloud Crypto. Do you know pCloud is the first in the market that a user can have both highly encrypted and normal files in the same account for your convenience. pCloud security features are pretty robust as is, but with pCloud Crypto you essentially create a digital vault that is almost entirely impenetrable. This is the highest level of security you’ll find in a cloud storage option today and at the price point is well worth the investment – particularly if you have sensitive data stored in this cloud service. Last but not least, the average upload and download speed is also faster with pCloud. This depends, of course, on your internet connection speed.With the same internet connection, pCloud’s upload transfer rate is almost 10 times faster than Dropbox! However, I did a real upload test too to verify the claim on my own. Yet the result are a bit different from what pCloud claim but I suppose that rely on other factors too. Find out my fastest cloud storage experiment here with upload result. This goes to show that pCloud is worth giving a try when you look at all these helpful factors over Dropbox. At the end of the day, both of these cloud storage solutions are worthy contenders that you want to pay close attention to before you pull the trigger with either one. They stand head and shoulders above the rest of the competition as it sits right now. This is where you want to start your research and your due diligence before you find the right cloud service for your needs. If you are aware, we never did a comparison on the cost and pricing between pCloud and Dropbox above. Find out how much you are saving by using pCloud Lifetime over Dropbox here [Calculator]. Depending upon what you’re hoping to get out about your cloud service either one of them may be best suited to your situation. Much appreciated is the ease of file sharing in both cloud services. We speak highly of pCloud is because we are using pCloud 2TB + Crypto bundle plan extensively and we simply love it. We also utilize the Dropbox 2GB free storage for some light storage. The price difference is just too much to be on equal footing. Read our full review on pCloud here. Dropbox is the cloud leader while pCloud is the newcomer that are punching its way up and making a name for itself. It’s like David and Goliath and people love it for that.